For Texans, it can be hard to imagine a college without any sort of campus ministry. Yet for many universities around North America, that is the case. In 2016, a group of collegiate ministers from the Baptist Collegiate Network (BCNET) gathered together to create a strategy for reaching previously unengaged college campuses. They wanted to focus their efforts on reaching the campuses with the least amount of access to the Gospel, but they discovered there was no data to help them prioritize universities. So, the BCNET conducted a year-long study and created a system to rank campuses across the United States and Canada based on the number of students and the number of churches within a ten-mile radius. Then, they took those numbers and found the top 50 unreached universities. The results were shocking. All 50 of the most unreached universities were in Canada. Somehow, these universities were ignored or forgotten by pre-existing campus ministries and churches. The Forgotten50 plans on changing that. The Forgotten50 is a movement focused on reaching the 50 college and university campuses in North America with the least amount of access to the Gospel. Baptist organizations across North America have come together to join with the Forgotten50 and help establish Christian ministries on these campuses. Texas Baptists has spread the word about Forgotten50 to their Baptist Student Ministry (BSM) groups on campuses across the state. These BSMs have begun praying for the Forgotten50 weekly, and some are even sending teams to go visit these forgotten universities. 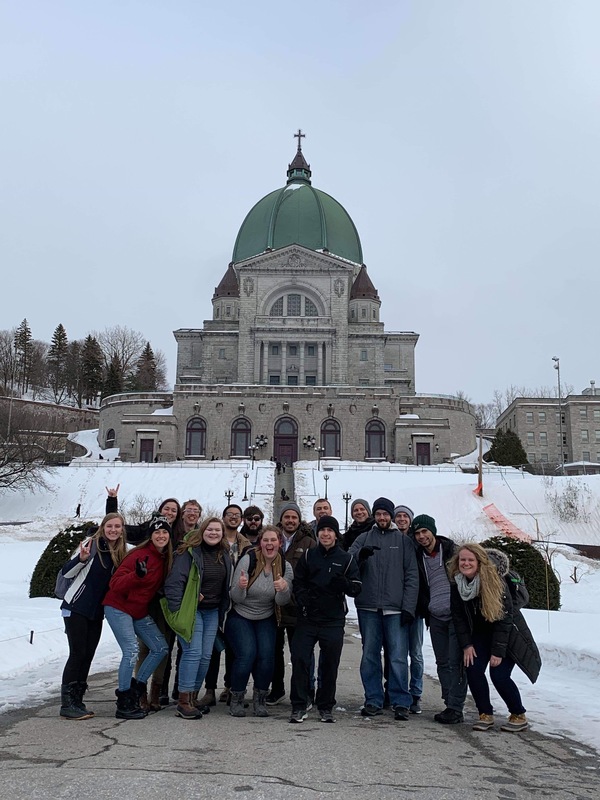 In May, the University of Texas at Tyler’s BSM will be sending eight people to Montreal to help local Canadian churches engage with college campuses nearby. Amber Bader, who is leading the trip, explained that the UT Tyler BSM first heard about Forgotten50 in August. They began praying, and the choice was obvious: they had to go. Go Now Missions, a student missions ministry of Texas Baptists, has also been heavily involved in the Forgotten50 movement. Go Now sends Texas college students across the state, country and world to share the Gospel. During Discovery Weekend, students applying to be Go Now missionaries prayed for all 50 of the forgotten campuses. They also collected an offering of $3,122.43. Though short-term mission trips are valuable, these universities have a desperate need for people who can live near them and minister to them consistently. That is why organizations like Go Now have started sending missionaries who can live close to these universities for an extended period of time. Forgotten50 is also focusing on empowering the local Canadian churches, so that the ministries that are established will be long-lasting. By sending groups like UT Tyler’s mission trip, churches in Canada and the United States can create partnerships that build each other up. Adopting a campus is a great way for a church or organization to directly impact one of these Forgotten50 universities. Adopting a campus looks different at each university. Some have churches nearby to partner with, while others have no Christian organizations in the surrounding areas. More importantly, adopting a campus is a commitment to remember that campus and engage them in the Gospel. Sanders says the most important thing people can do is pray consistently for these campuses. These universities have been overlooked and neglected by Christian organizations in the past. “They’ve already been forgotten once, let’s not forget them twice,” she said. Read more about the Forgotten50 movement and how your church or organization can be involved on their website. Contact Brenda Sanders, director of Go Now Missions, for more information.